Let’s talk about do-it-yourself projects. If you’re like most people, you love watching instructional videos to save time and money. Do-it-yourself videos have taken a major role in helping homeowners fix washing machines, create wall decorations, and even make delicious dinners. While these videos may be useful for a wide variety of things, it’s an entirely different story with water damage restoration. 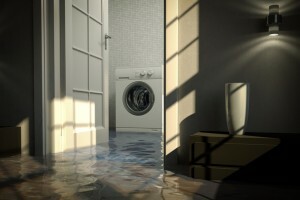 If a water damage restoration project sounds like something you don’t want to deal with on your own, you can stop reading here and call a water damage restoration specialist in Port Jervis. Alternatively, take a look at these common mistakes to avoid. Even when damage doesn’t look extensive, the type and amount of water can be miscalculated by a large margin. Many homeowners aren’t aware of the different types of damage, which can cause problems during the restoration process. Category 1 water refers to water that does not pose a substantial threat to health. It can come from tub or sink overflows, a leaky faucet, or other clean sources. Category 2 water damage contains a significant amount of chemical or physical contaminants. Category 3 water, also known as “black water” is the most dangerous and the easiest to spot. Its sources include sewage waste, rising floodwater, and seawater. Although on paper these categories seem easy to identify, in a real-life situation it can be more difficult. Knowing the contaminants in the water is necessary because it helps to determine the type of remediation. Many beginners in water damage restoration fail to understand this distinction and incur the home and health damage that may follow. Common household cleaning items such as mops, brooms, and shop vacuums may be useful for enclosed areas with a small amount of standing water. If we’re dealing with an inch or two of standing water, however, these tools won’t be very useful. For example, let’s say that a pipe burst and your basement has several inches of freezing cold water that has started to seep into the carpet. By the time you bust out your expensive vacuum, use every available hand towel on the premise, and use one too many pairs of rubber gloves, moisture and mold have already set in. Although water damage may have been minimized, the elapsed time is enough to create another problem. Mold is tricky because it’s hidden and its effects can take quite some time to recognize. This can also be more detrimental to health than the initial water damage can. For this reason, we offer 24/7 cleanup services in Port Jervis to reduce remediation to a fraction of the time it takes for regular household appliances. The more you learn about water damage cleanup, the more you realize how much there is to learn. What many homeowners don’t recognize is that water seeps into everything and has the potential to affect everything it touches. This means that when you’re high-fiving your restoration team members in celebration, there are usually 5 or 6 more aspects to think about. For example, after scrubbing the drywall, sucking every drop of water out of the floor, and dumping large quantities of bleach on all everything you can see, you may plug in your tv and be surprised to see flying sparks. Other detail-level issues involve warped flooring, a musty smell after several days, or muted paint spots. Professionals are trained in everything surrounding water damage—including the tiny details that are easy to pass over. Although do-it-yourself restoration projects can be cost-effective, mistakes can create negative repercussions for months to come. Professional water damage cleanup specialists in Port Jervis can assist you in remediating your home after damage. Give us a call if you’re in need of our services.